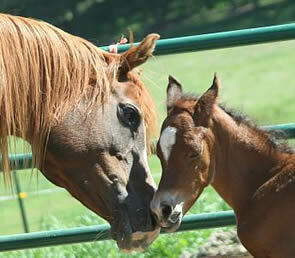 2009 Foals ~ what nice babies! 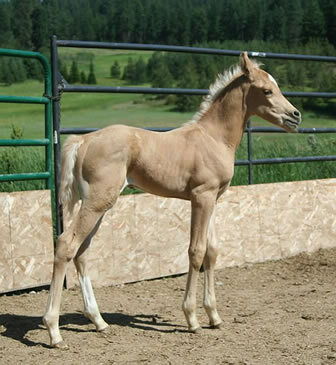 First foal of the 2009 spring was an extremelly athletic and typy bay colt by Al Marah Don Power and out of our pretty Rosie-with-the-big-eyes-mare! 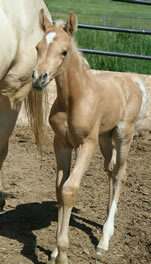 Next came a pretty palomino by Commander and out of K Teaspa, one of our favorite 3/4th Arabian mares. 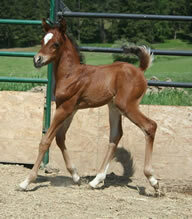 What a well put together cutie! 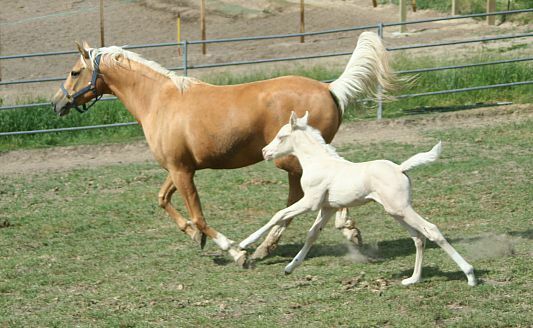 Next foal was a stunning almost half Arabian cremello colt by Commander and out of another of our favorite 7/8ths Arabian palomino mares, K Falene. 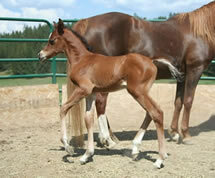 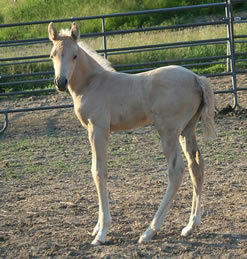 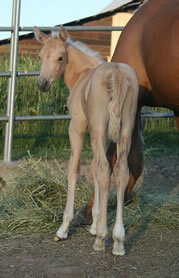 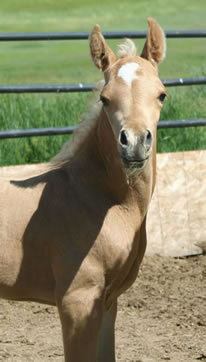 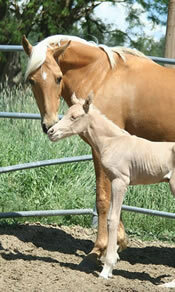 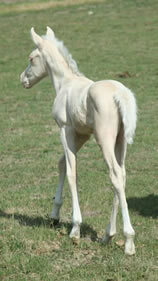 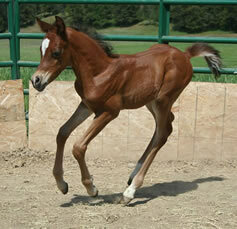 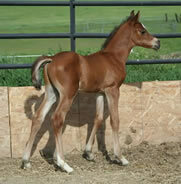 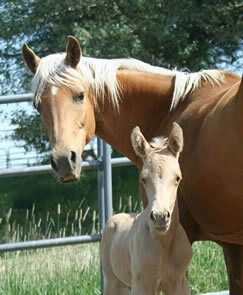 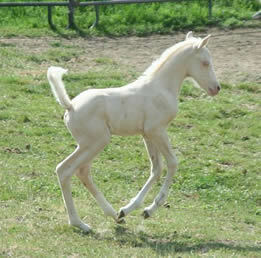 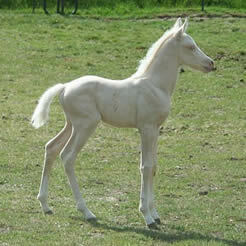 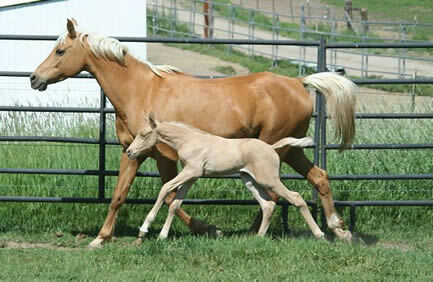 The last foal of 2009 was a very well put together palomino colt sired by our Palomino 7/8 Arab stallion, Promise. 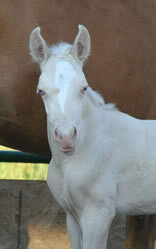 The dam is our home bred "Creme del la Creme"a 1/2 Arab cremello mare sired by Commander. 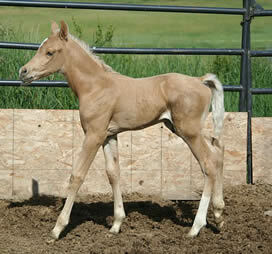 This is a nice colt!